Home / Diamond Search / Diamond DetailsLooking for Fancy Color Diamonds? Note: Sample Video Is Shown Above. Eye Clean : The diamond pictured here appears approximately more than 5x its actual size. Notice how the inclusions are not visible at this degree of magnification. The diamond faces-up eye clean under normal viewing conditions. 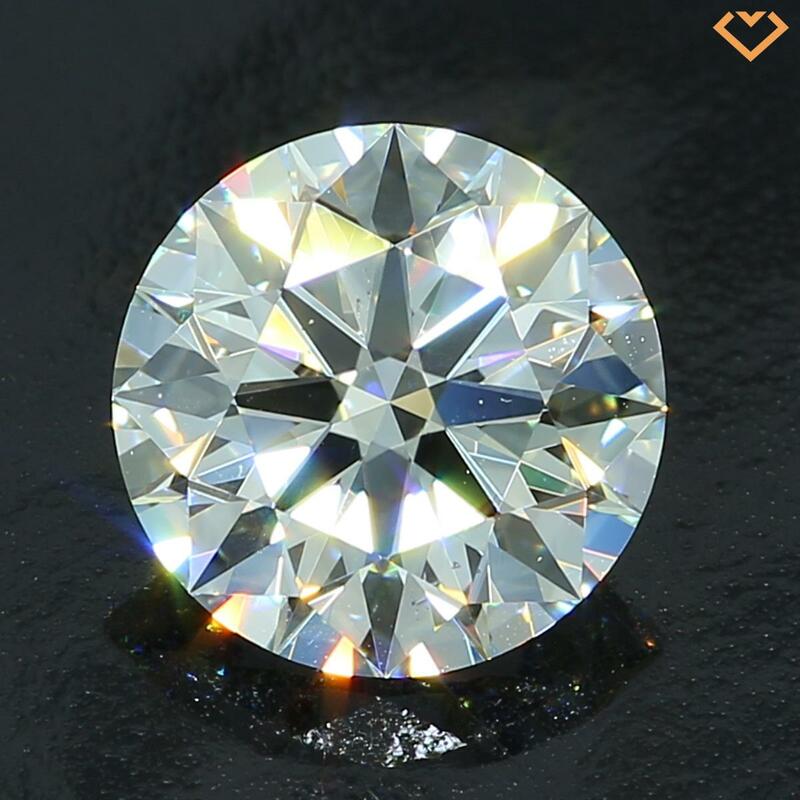 To view the diamond at a zoomed 40x size, simply click on the below icons titled Brilliance and Sparkle, inclusions at this magnification could be visible. Brilliance is the white light or white sparkle reflected by your diamond. 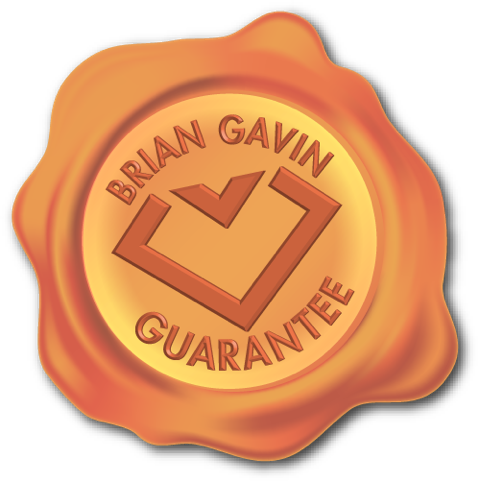 This image is intended to show you how incredibly brilliant this Brian Gavin Signature diamond faces-up. Sparkle is the Scintillation created by light reflecting off the facets of a diamond while it is in motion. As you can see, the sparkle factor of our diamonds is incredible. There might be a bit of a speckle-like effect visible in this viewing platform. It’s created by the speckled surface of the platform the diamond sets upon. It’s being picked up and reflected back by the diamond. You’ll notice this effect is not visible in other views, which use a different platform. The diamond pictured here appears approximately twice the actual size. Notice how the inclusions are not visible at this degree of magnification. The diamond faces-up eye clean under normal viewing conditions. To view the diamond at a larger size, simply click on the icons titled Brilliance and Sparkle. This static view of your Brian Gavin Signature diamond enables you to see more detail, but only a hint of the sparkle factor. That’s because the light source is designed to subdue the reflection of light, enabling you to see past the sparkle. Prepare to be dazzled, because diamonds your diamond will reflect its sparkling personality as it travels with you from room to room! Note: Sample Pictures and Videos Are Shown Above. 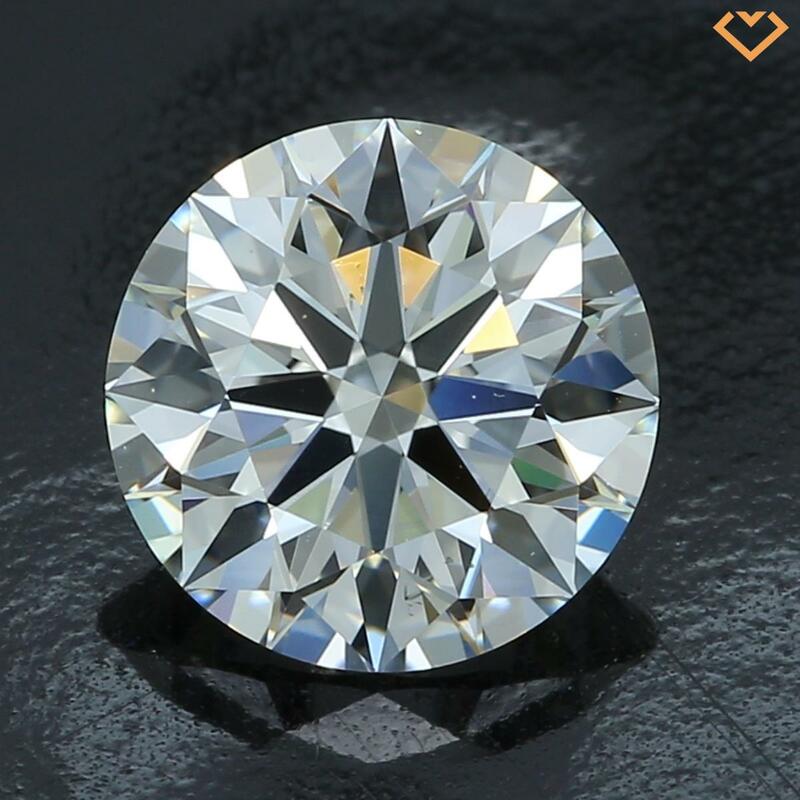 WE GUARANTEE THAT THIS DIAMOND WILL HAVE THE FOLLOWING CHARACTERISTICS. Categorization of diamonds on the basis of rating score -by Brian Gavin. The size of the table facet; expressed as a percentage of the average girdle diameter. The number to identify this product. Table to culet depth; expressed as a percentage of the average girdle diameter. Face-up shape of a polished diamond - the girdle outline. The distance from the top of the girdle plane to the table; expressed as a percentage of the average girdle diameter. Name of the Lab where the report was issued. The average angle formed by the bezel facets and the girdle plane. The weight of a diamond is measured in carats. Carat is the international unit of measurement for gem weight. One Carat equals one fifth of a gram. Average length of the star facets; expressed as a percentage of total distance between table edge and girdle edge. D to Z scale is the standard for color grading diamonds, from colorless to light yellow and light brown. Each letter represents a range of color based on a diamond\'s tone – darkness or lightness – and saturation – intensity. The angle formed by the pavilion main facets and the girdle plane. Clarity characteristics include blemishes and inclusions. Blemishes are limited to the diamond’s surface. Inclusions can extend from the surface into the diamond’s interior or may be completely enclosed within the diamond. The distance from the bottom of the girdle plane to the culet; expressed as a percentage of the average girdle diameter. The length, width and depth of the diamond expressed in mm. Average length of the lower girdle facets; expressed as a percentage of total distance between girdle edge and culet. The cut grade earned at the grading laboratory. The bottommost point of the diamond, which can be completely pointed or end in a flat facet. Around 1/3 of diamonds fluoresce when exposed to UV light. This is an expression of the strength of the diamond’s fluorescence. The overall condition of the facet surfaces of a finished diamond. The minimum and maximum thickness measurements around the girdle; expressed as a percentage of average girdle diameter (GIA measures at valleys only). The shaping and alignment of the diamond's finished facets.